Speaking on the red carpet before the glitzy awards ceremony, the rapper and actor said the news of the US music star's death was "devastating" and that those involved with the show had to "immediately jump in gear" to make sure they paid their respects in the right way. The show's presenter said it had been really important to remember Whitney while not overshadowing the achievements of the winners on the night. "A lot of people stayed up real late trying to figure something out," he said. "I hope Whitney Houston's family and friends and the rest of the people watching appreciate that. "I think that the main thing was there are a lot of artists that this is there first time here, they're excited, they got nominated for awards, and you don't want to lay this dark cloud over their Grammy experience, but at the same time we have to find a way to respectfully show Whitney Houston the honour that she deserves." 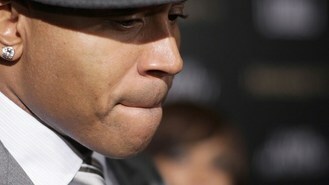 LL Cool J said he had heard Jennifer Hudson rehearsing her tribute song for Whitney and that it had "sent chills through his spine". He added: "She's a different singer, a different diva, but she's the closest thing we have now to what Whitney was and represented and is through her legacy in music."